If you're looking to speed your code up I would recommend not using digitalWrite or Serial. When using digitalWrite it can take quite a few unneeded clock cycles to turn the pin on or off, as a replacement I would suggest looking into using port manipulation. This code is wrong in many ways. For example, Serial is interrupt driven; this may cause a race condition that will freeze the code. 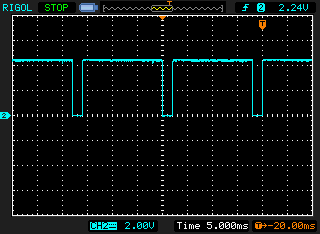 As far as i can understand pin 3 may be a button (in that case you need to apply some antibounce code, just look at the signal create by pressing a button with your oscilloscope to see what happen), so you can just make a digitalRead every loop, if true do your code. So you will keep timing() out of interrupt. Not the answer you're looking for? Browse other questions tagged c++ c timing or ask your own question. Reading a 10 pin 7 segment (2 digits) sing Arduino 1. Please Help! What exactly does the Arduino preprocessor do?